For more than 40 years, people in Zebulon, NC have relied on Weather Master and Mr. Plumber for their heating & air conditioning and plumbing service needs. Built on a foundation of maintaining the most knowledgeable plumbing and HVAC technicians with “Trust Certification” – random drug testing, national background verification and driver’s license checks – our mission is to grow through establishing long-term relationships with our clients. We are committed to doing “Whatever It Takes” to deliver immediate comfort to you! We strive to be the best heating and air conditioning contractor in Zebulon and work hard to earn your trust and confidence. We hope you’ll consider us for all of your heating & air conditioning repair, service & installation needs. When you’re experiencing electrical issues in your home you can turn to Weather Master Electric for help, 24/7. We are staffed with skilled electricians that are dedicated to providing you with excellent service so that your issue can be resolved and your life can get back to normal as quickly as possible. If you require assistance during the day or in the middle of the night, contact us and we will respond immediately. Our electricians have the tools and knowledge to make minor or major electrical repairs, and can typically have your home back up and running on our first visit. Give us a call if you need a skilled electrician in Zebulon. 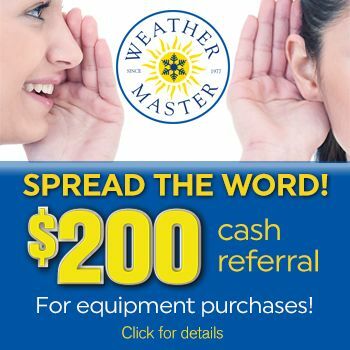 Weather Master has been keeping North Carolina residents comfortable since 1977, and we’re proud of that long-standing tradition. Whether you need a new heating and cooling system in your home, repairing an existing HVAC system, installing a new water heater or clearing a clogged drain line, we hope you’ll consider us for all your air conditioning, air quality, electrical and plumbing needs. Call us today or schedule a plumber or HVAC technician online.